Such a good actor despite his young age and bishonen looks, all his parts have been impressive so far: Koizora, Gokusen - The Movie, Crows Zero II, Gokusen 3(the only good thing in the whole dorama), Samurai Highschool and Binbou Danshi. He only had like 8 minutes of screen time in Crows Zero II has the fierce Bitou Tatsuya but he was really awesome and intense, even without fighting one could tell that he was really strong, his conversation alone with Narumi(Kaneko Nobuaki) in Housen�Ls gym was one of my favorite parts from the movie. Loved him in Bloody Monday seasons 1/2!! As an actor, he is not afraid to make incredibly ugly, weak, emotional-wreck sort of expressions, which sounds like an insult, but actually I mean this as the greatest compliment! He really gets down-and-dirty with his acting, which I wish more actors would, instead of just playing it safe. This ability to go wild with his acting makes Miura Haruma's performance unusually raw and powerful, I think, so props to him! Awesome in Gokusen 3, Koizora (the movie) and Bloody Monday! He's so cool! And now after starting on Samurai High School I have gained even more respect for him since it shows that he can do a lot more than only "cooler" roles, since his role in that drama is about the total opposite from everything else I've seen him in (he's soooo hilarious in SHS!!). So I adore him! A very new face, but I liked him right in the beginning. Kazama was my favourite character in Gokusen 3 and therefore I decided to watch Bloody Monday - and then I was really shocked how much he seemed to have grown up. And I really began to feel that he's not only nice to watch, but really talented so I'm excited about what is to come. Haruma, I love him sooo much. First time I saw him when he act in 14sai no haha and at that time I FALLIN' LOVE WITH HIM. I really really love this boy and I hope that he will be success in his carrier. cute... i first wacth him in 14 sa no haha, and i love him. the next role in Binbo Danshi, Gokusen 3, and now Bloody monday, prove that he is a good actor. He's still young, so will wait for the next big thing he'll do. Love him !!! talking about miura all i can say is, he's very talented. watching his acting in gokusen 3 is totally different from his acting in binbo danshi and that's a thing i like. i don't see miura himself but the character he plays. The next big male superstar! Although, I think there is some homo-ness in some of his ways, he still attracts dozens of fan girls, including me!! Wushu! Can't help it, can't oppose his charm! I really like his smile, so kakoi! his acting is good too. 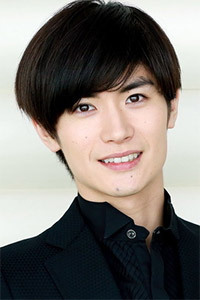 I saw him in gokusen 3, bloody monday, 14-sai no haha, etc but he made me a lil bit dissapointed in samurai high school. I'm watching him in Samurai High School--what a versatile actor! I LOVE his depiction of a samurai! I was really blown away! And I can't take my eyes off of him! but like him thru koizora, tat hair suits him e best! Well,I gotta say that among all actors in"Gokusen 3",His was the best. He is indeed Handsome,but,he still has a long way to go. ,heh.. he's pretty cute.. and his smiles are awesome!! He did a great job on portraying a lazy student in Gokusen 3.. hehe.. He did an impression after watching Bloody Monday. Hope that he'll keep on improving. he is good. NO! GREAT!! Definitely one of the best and most versatile actors of his generation. I just learned he also plays "Ren" in Gokusen 3!